Let’s chat today a bit about eggs. And their sizes. And why they matter. I never gave egg sizes a second thought, being a rather devoted large egg buyer, until we started venturing into the world of chicken raising and egg production and hen watching and chicken whispering. All of a sudden, I started noticing that my cookies and quick breads and cakes weren’t turning out the same when I used my beautiful backyard chicken eggs. The horror! Everyone told me how superior my homegrown eggs would be. How delicious! How wonderful! What they failed to tell me was that my dear, sweet chickens would most likely not produce the same size of eggs consistently that I had been accustomed to buying and that this little fact makes a huge difference in baking. Making scrambled or fried eggs? Don’t stress about egg size. Use whatever you have on hand and go crazy. But for the precision of baking, egg size really does matter. Not only do eggs add moisture and stability to baked goods, they also help leaven and bind the batter/dough. Using larger/more eggs in a brownie recipe, for instance, might make them cakier instead of dense and fudgy. In cookies, smaller/fewer eggs could make a crumbly, dry cookie whereas larger/more eggs might make a fluffier cookie (or one that spreads too much). I’m not going to get into the nitty gritty of how and where eggs are produced, weighed, washed, and delivered to your grocery store, nor am I going to go into any deeper science about how eggs act in baking (although it is fascinating). Instead, I just simply want to give a quick overview of the different sizes of eggs and see how they compare (and then let you know how to read and use most recipes accordingly). Ready? 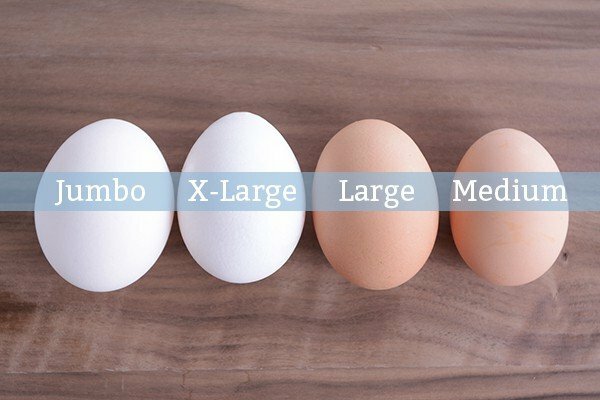 For today’s purpose, we’re going to talk about four main sizes of eggs: Jumbo, X-large, Large and Medium. I gathered eggs classified in these sizes and cracked and weighed four from each size. Keep in mind the weights I give are out of shell. The details below are averages for each size; these are not exact, scientific measurements. You could do your own measuring and weighing and get slightly different results – like I mentioned above, more than anything, I want to give a visual of how egg sizes differ from each other. Let’s take that jumbo egg. I have to be honest, I had never bought a jumbo egg before today’s post. The closest I’d come to an egg this size was a few of the double yolkers one of our hens likes to present every now and then (ouchie-wa-wa!). You can see that a jumbo egg weighs in right around 2 ounces (remember, this weight does not include the shell – that is the same for all of the eggs and their weights in the post). 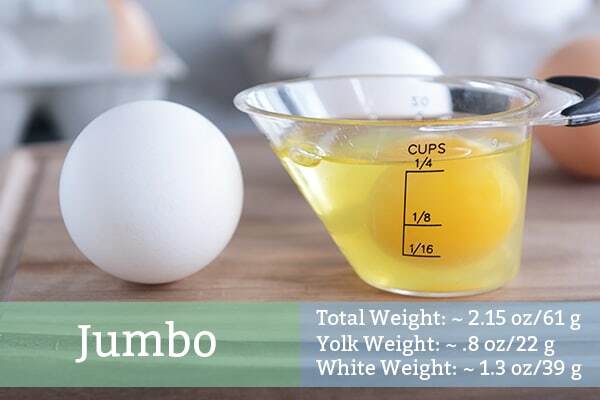 The volume of a jumbo egg is a heaping 1/4 cup. Now the X-large egg. 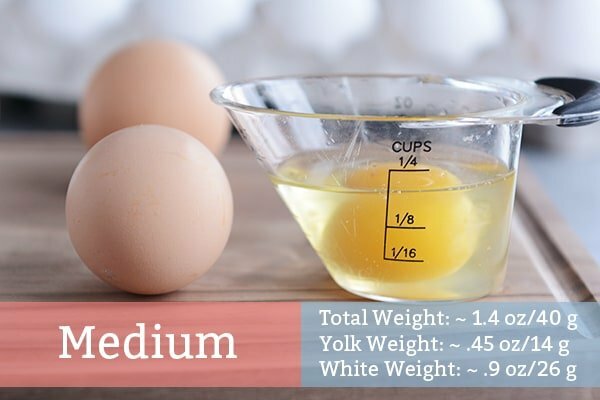 Weighing in slightly less than a jumbo egg, an x-large egg is right around 1.95 ounces and evens out at 1/4 cup volume. 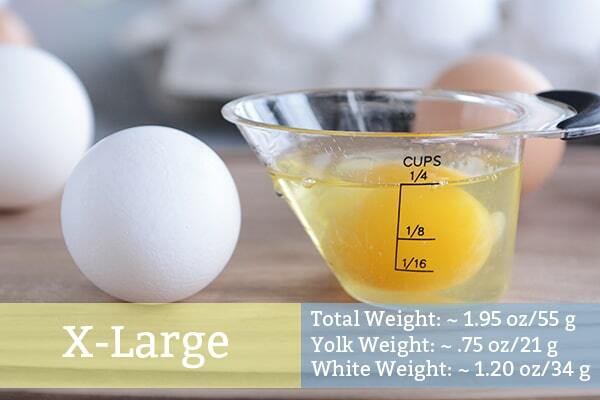 The oft-used large egg weighs about 1.75 ounces and is slightly less than 1/4 cup in volume. And finally, the humble medium egg (in this case a small homegrown egg from our flock), weighs about 1.4 ounces and is about 3 tablespoons in volume. Now. To complicate matters just slightly further, keep in mind that in the United States, the weight of eggs is determined by the minimum required net weight per dozen eggs (shell and all). For instance, in a carton of one dozen large eggs, you could get eggs that vary in size because it’s the total weight of the dozen eggs that puts them in the USDA’s determined egg classes. The USDA says that a dozen large eggs has to weigh 24 ounces at a minimum but doesn’t give specific regulations on what each individual egg should weigh. Each country has different standards and guidelines for egg sizing so if you live outside of the United States, it might be worth checking to see how your area regulates egg sizes. All of this can be confusing and make one never want to crack an egg again. But never fear! I have a few guidelines to help you maintain positive thoughts about eggs and baking. When in doubt (or if a recipe doesn’t specify), use large eggs. 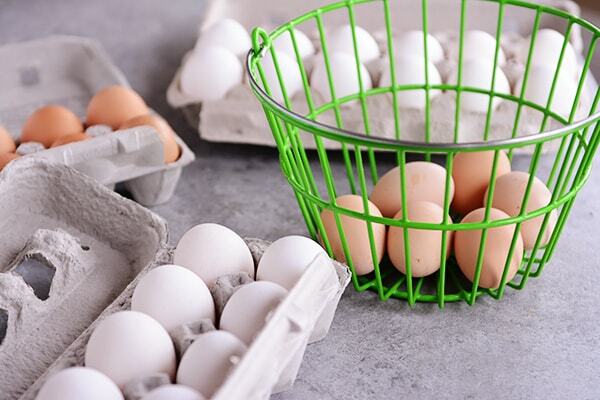 They are the most commonly used size of eggs in the United States and even though they vary in size by carton, like we talked about above, it’s minimal enough that you can use them and still sleep easily at night. If a recipe does specify, follow it for the best results (i.e. don’t sub large eggs for x-large and vice versa). Even better, if you have a scale, use it (this is the kitchen scale I have and love). Because I’ve been exclusively using our homegrown chicken eggs for a while now, I always weigh my eggs, out of shell, when baking, using 1.75 ounces/50 grams as my guideline for a large egg. To be quite honest, I’m not sure I’d do that if I were a normal human being, but since I’m an obsessed food blogger, I’m dead certain I want my recipes to be as foolproof as possible for you. All of the recipes on my site, unless otherwise specified, use large eggs. Troubleshooting Update (based on questions in the comments): let’s say I’m making a recipe that needs two large eggs (3.4 ounces/100 grams) and my eggs, out of shell, weigh only 78 grams. I grab another egg, whisk it in a bowl, and add slowly to the two eggs until I get the desired weight (in this case 100 grams). 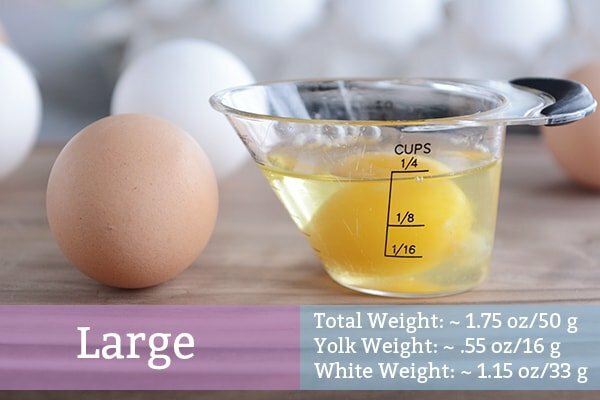 On the flipside, if I have really big eggs and weigh two of them for my recipe and realize I have 115 grams of egginess, I whisk the eggs together until combined and take out a teaspoon of the mixture at a time (or less if needed) until the weight reaches the right amount. If there’s leftover egg mixture, I throw it into a container in my refrigerator where all the lonely egg remnants go. I use this mixture when I bake next, if I need to adjust the egg weight, and more often, throw it into our breakfast of scrambled eggs. If all this weighing stuff seems complicated, it really isn’t, I promise, but I also understand some of you do not want to mess with weighing your eggs. And that’s ok! Simply follow the recommendations above (when in doubt, use large eggs unless a recipe specifies a certain size – then use that size). 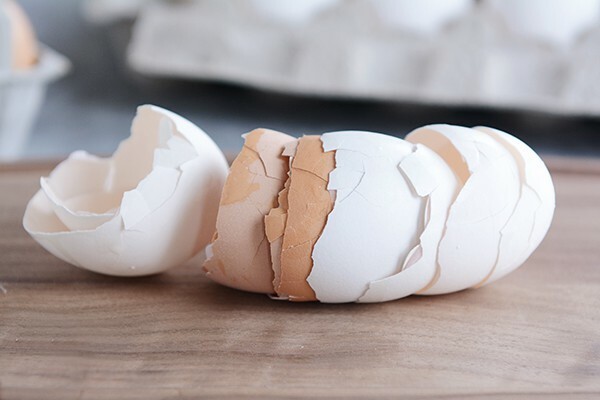 If you find your baked goods are a little temperamental and aren’t turning out like you want them to, that may be the time to buckle down and weigh your eggs (of course there are many other factors besides eggs that impact baking outcomes, as we know, but you could start there). And there you have it! Eggs in all their gloriousness should be the last things to cause issues in your kitchen (and stress in your life). Hopefully today’s post cleared up any confusion. If you have any lingering questions, ask away in the comments and I’ll answer as quickly as I can. Great article, I was looking for exactly this – the weight of individual egg sizes. Thank you so much. Following your blog, beginning today. Very interesting, helpful post. Ina Garten (Barfoot Contessa) always specifies the she only uses x-large eggs in her recipes. I imagine the other ingredients are modified to accommodate this size egg. I usually only buy large eggs, but this is very helpful. Such an interesting read! I’ve seriously wondered about this often. So, thanks for researching and giving this very helpful info! 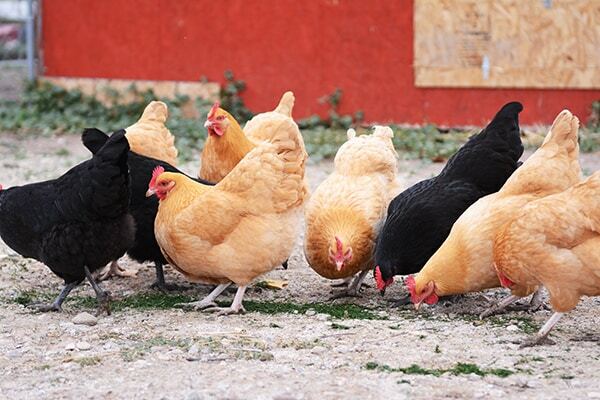 Get some bantam hens in your flock. Their teeny, tiny eggs are usually just right to balance things. Two large eggs = 2 Cream Legbar eggs + 1 Silkie egg. Bantam eggs are also fun for teeny fried eggs for the kids, bite sized deviled eggs and bite sized pickled eggs. Coturnix quail eggs are fun, too. They’re easier to raise than chickens and the eggs are super tiny. My daughter loves saying she ate 10 eggs for breakfast! I’ve never considered the size of eggs before, I just always buy large eggs and use them in recipes. This week when I got my eggs home from the grocery I noticed how many different sizes there were in the carton! I’m embarassed to say I usually throw out the “extra” egg when making a recipe. I never thought of saving it for scrambled eggs. Game changer! Thanks for another informative post! I’m obviously not a food blogger. We used exclusively eggs from our birds until we moved last year and had to leave them behind, but my rule of thumb has always been – when in doubt, use more eggs. A while bake my husband bought medium eggs because they were cheaper and my cookies didn’t turn out. I was just a bit irritated about the whole thing. I blamed it on the eggs and my husband acted like I was a crazy person. Thanks for proving that at lest this one time I wasn’t. I buy the organic eggs from my Costco in California and they are the large size. Just to let you know. I’ve been following you for quite a long time and I only remember you mentioning your chickens once before. They are gorgeous. Do you have a post on raising chickens that I missed? If so I would love the link. My husband is very interested. Hi Laura – I haven’t done a specific post on raising chickens mostly because I’m not sure I could really add value when there’s so much info online but if there’s enough interest, I’d love to share what we’ve learned. I’ve done a lot of looking on backyardchickens.net forums and also at the chicken chick website and various other sources that have come up in google searches – plus I did a lot of talking/research with locals around here who have raised chickens. We love having them – my husband would tell you I’m a bit obsessed. Great information, Mel……..so helpful. Thank you so much! And, I love your chickens! Are they a lot of work? Thanks Mel! I get local eggs and just recently noticed they put them in specified cartons. I thought an egg was an egg was an egg until I picked up a jumbo carton! Wow..those are some big eggs!!! After reading this I will stick to large! Have you ever frozen fresh eggs? No, because we eat ours so quickly but I’ve thought I’d look into it if we ever have a surplus. My friend (who also has hens) said that fresh eggs can be kept for several months out of the fridge if coated in olive oil, or something… know anything about that? (different Megan than the OP) I’ve heard something about saving eggs out of the fridge. Don’t have particulars. Just that the eggs can’t have been washed. My sister lives in a farming community and heard something about this at church. I keep forgetting to ask for more information. I’ve also heard of people freezing their eggs. My SIL would scramble them if I remember correctly and then freeze them in ice cube trays I think. I’ve sure been tempted a time or two when my flock of 22 were new layers and filling my fridge to the brim! Just like Megan said, I have heard from the small-scale farmer that supplies my parents with eggs that fresh-from-chicken unwashed eggs will keep for months and months out of the fridge. Apparently the hen’s, um, egg canal, coats them with some fancy preservative-type substance. After years of traveling/living in Europe, I will say that 1) eggs in the supermarket are never in the refrigerated case and 2) often have little bits of feather and chicken poo still stuck to them. I usually wash those ones before I use them! And because we grew up that way, we always put our eggs in the frigde when we get them home, but if the fridge becomes over-full (see above about living in Europe = small refrigerators), I have no qualms about pulling the eggs out for a few days. And, finally, thank you, Mel, for this egg tutorial! We often only have access to medium eggs, and I should be better about weighing them for baking. I keep our chicken eggs (unwashed) at room temperature for several days as we use them up. I’ve read several places that if you coat the unwashed eggs in mineral oil, they’ll stay good at cool room temperature for much longer, although I haven’t tried it since we go through our eggs too fast and haven’t had a surplus yet. If the eggs are particularly dirty and I wash them, I put them straight into the refrigerator (since the natural seal has been washed off). which is what I was talking about from my sister. The water glass stuff. It was described as kind of gloopy (from my sis) and the eggs were only used for cooking usually. I don’t ever discard the yolks – although our double yolkers are few and far between these days. I just use them like normal eggs especially in scrambled eggs. In baking, I whisk them up and weight them out for the recipe. Works great! My neighbor with the chickens (and my source of eggs) told me that when chickens first start laying there are more doubles and of course, the eggs are small. The doubles become rare or non-existent as the chickies get older. I LOVE getting a double and I like the small eggs for making hard boiled eggs which are my “I’m starving and need a snack to hold me over” go to. I love how thought out this post was! We always buy large eggs just because I know they’re the most common ones used in baking, but i really was interesting to see all the differences in the eggs and how they measure up one with another. You might find this odd, but a few years ago I started using powdered eggs exclusively in my baking and always had perfect results. I like having powdered eggs in my pantry for emergencies and fresh eggs are only used for egg dishes or for the occasional yolk or white needed for a recipe (of yours) or two. 🙂 now if the zombie apocalypse occurs I can make cookies, cake, bread and other various goods because of my powdered eggs. Good info. Never thought of this. I wonder if its painful for a chicken to lay an egg? We are thinking of getting chickens. Maybe a post of your thoughts on raising chickens.? Love it! I too wonder how you make up for the missing volume if needed. So if I have too little egg (like, I’ve weighed my eggs and I still need maybe .25 ounces) I whisk another whole egg in a bowl and add to the other eggs that I need for baking until I get the right weight. Then, with any leftover egg, I add it to a container in my fridge that I keep for when we make scrambled eggs throughout the week. So I, like many others, use Costco eggs. Can I use them but just remove a bit for the recipes that specify large? I have noticed my cakes have been pretty dense lately! I almost made a comment in the post about Costco and their danged extra-large eggs! So when I have eggs that weigh more than what I need, I whisk all the eggs together and take out a bit of the egg mixture until I get the right weight. Because we make scrambled eggs several times throughout the week, I keep a container in my fridge where I put the excess egg that I don’t need for whatever baking recipe I need and when I go to make scrambled eggs, I add the container of leftover egg mixture to the scrambled eggs. Does that make sense? I have the same scale and I love it. I would be interested in seeing more recipes done by weight. It’s so much easier and accurate than measuring. Thanks for clarifying the egg/size question. Thank you… thank you! This is something I’ve always obsessed about in my head…but never was brave enough or knew anyone I would dare ask! Hahaha! Now I can calmly weigh my eggs and worry about something else! Thanks! Hey Mel: Great post! Question- if your egg weighs more than 1.75oz do you beat the egg and take some out or do you just take out some of the white until your preferred weight? Hi Barbi – I need to add an updated section to the post since lots have this question and I should have talked about initially. Sorry! Basically, if there is too little or too much egg (when I’ve weighed the eggs for a baking recipe), I adjust by either whisking another whole egg and adding slowly until I get the desired weight or whisking up all the eggs I am using for baking and taking a little bit out until the weight is reached. With any leftover egg, I add it to a container I keep in my refrigerator and either use it in another baking recipe when I’m evening out egg weights or use it in scrambled eggs throughout the week. Does that help? I’ll update the post, too. Great clarification, Nicole! And way to go on making everybody happy. 🙂 I’ve included weight measures for a while for dry ingredients in my baking recipes but am just starting to include weight measures for eggs and realized the other day, I’m wording it all wrong; a baking novice might assume based on my wording, they weigh the entire egg, shell and all (hopefully they would know not to use the shell in the recipe but I really can never assume anything). I need to clean that up a bit. I use eggs fresh out of my neighbor’s chickens and by mutual agreement I get a variety of sizes. I only measure if I’m baking, otherwise I go by look and feel of a mix: for example, meatballs. And I am often halving recipes as it just me. I might use a Jumbo and wow, the Jumbos from these chickens are XXL! – in place of 2 eggs. In non baking recipes, I tend to use less egg than called for as I’ve found the fresh eggs perform better – larger yolks to white it seems like. Something like meringue – the opposite a little, but still it seems like fresh eggs do better. But, bottomline… and this is without the kind of research you’ve done for size… I think the type of egg matters as well. Oh Mel, I LOVE your “Let’s Talk” posts! I consider myself a decent home cook, but I struggle when it comes to baking. Your post on how to correctly scoop and measure flour was so eye-opening, I’d been doing it wrong my whole life! You’re my favorite food blogger and I’ve loved every recipe I’ve tried from your site. Keep up the awesome work! I am a food nerd because I have been anxiously awaiting this post!!! I always bought large eggs until I had 4 kids and moved close to a Costco, who only sells extra-large eggs. Now I need a Costco-sized flat of eggs (or I need a chicken coop!!). I haven’t generally weighed my eggs like I do most of my dry ingredients, but after delving into the world of French macaron-making, I’ve learned how important it is! And I loved this tutorial comparing the sizes and weights, so thanks!! Back to macarons for a second…Have you tried making them? (I’m guessing you have. And I understand why you wouldn’t post a recipe for them since the technique is so precise so answeeing/troubleshooting a million comments would be impossible.) But I’m curious if there’s a recipe out there you’ve used and liked? Ugh, isn’t that the worst at Costco? That was a thorn in my side until we got our own chickens (yes, I know first world problem and all that). I have made macarons a time or two and like you inferred, I’ll probably never post the recipe because wow, talk about fussy, but I used the recipe from America’s Test Kitchen. Have you tried that one? I haven’t tried that one! I just looked it up and it looks like I have to be a premium member at ATK to get the recipe. I’ll have to decide how bad I want it, ha! I’ve been using a recipe where the macarons turn out really pretty but are often hollow (which is probably more my technique than the recipe). But much like you and your quest for the perfect yellow cake, I am a sucker for a challenge and am determined to get them perfect!! So it might be time to get that ATK membership. 😉 Thanks for replying! You have blown my mind. I don’t bake that much so I never gave much thought to these nuances, but if egg size matters that much, then I need to follow your guidelines and measure my eggs. Thanks for sharing these details to keep your recipes amazing. Thank you, Mel. So interesting. And I love how you do all this experimenting and research for your readers. 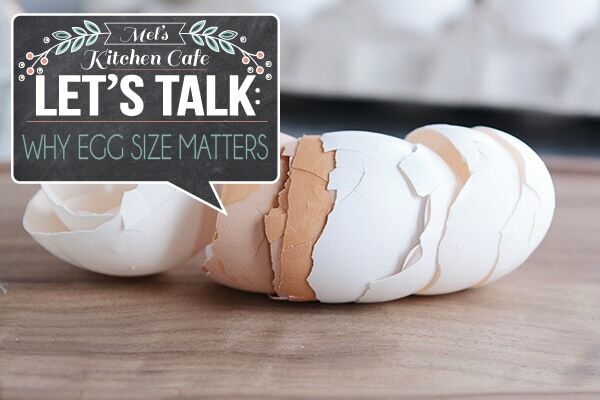 I used to buy eggs at a local farm but I rarely do anymore–precisely because most of my eggs go to baking, and I couldn’t be sure of the sizes.